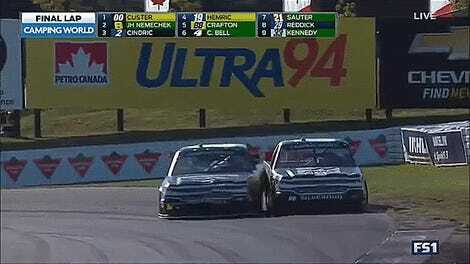 While NASCAR won’t penalize any drivers in Mosport’s blatant wreck-to-win race ending or the fight that happened afterwards, they will at least penalize something. No. 21 Wood Brothers driver Ryan Blaney was fined $1,000 for driving without gloves in practice. NASCAR’s throwback weekend is full of cool vintage costumes and liveries. Because his car was dressed up in a 1976 Wood Brothers livery, Blaney decided to go out for Saturday morning practice with no gloves on. NASCAR officials noticed Blaney’s naked hands during his second run and ordered him to come back in and put some gloves on. I wanted to go out there with no gloves. They didn’t have gloves in the ‘70s, you know? They didn’t wear them. ... I’ve never done it before. I’ve never gone out with no gloves before. I thought it was appropriate to go do it just for the weekend. Blaney also had a pair of vintage loafers on hand, but he told ESPN that he thought they were too hard to drive in. NASCAR has mandated fireproof gear since 2001 per ESPN, and hands and feet are less frequently charred now as a result. However, the disconnect between their non-action over a really egregious wreck in the Camping World Truck Series and this penalty for Blaney not wearing gloves in practice is pretty jarring. 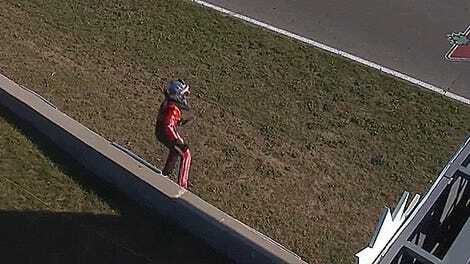 How is this a fine when endangering half of a pit straight’s worth of trackside personnel at Mosport isn’t? According to ESPN, $1,000 was the maximum fine Blaney could receive for the safety infraction, which is in the lowest “P1" category of offenses in the series. At least it was something.